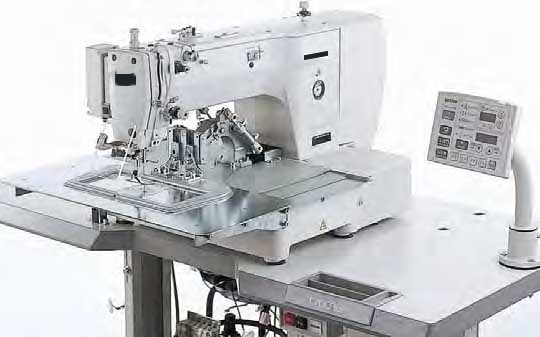 devanét have invested in a new computerised pattern stitching machine to provide a top quality pattern stitching service for belts and leather gifts. The machine is capable of stitching complex designs in a field area of 220 x 100 mm automatically and with consistency in quality and performance across a wide range of products. Special programming software and laser designed jigs made by our associate company diamond engravers means that designs and development for customers is controlled inhouse. The services will enhance the existing facilities which have been extended to offer leather slitting, diecutting and our heavy duty stitchers for webbing and leather. The most valuable asset for our customers is that what would normally be a complex job can be achieved speedily and with consistency, so that quality control is easier to maintain thanh by using hand ey co-ordination. The computer stitching is capabale is of using a variety of thead thicknesses to simulate various effects and designs can be enhanced by including patterns which would be virtually impossible by hand or standard flatbeds.